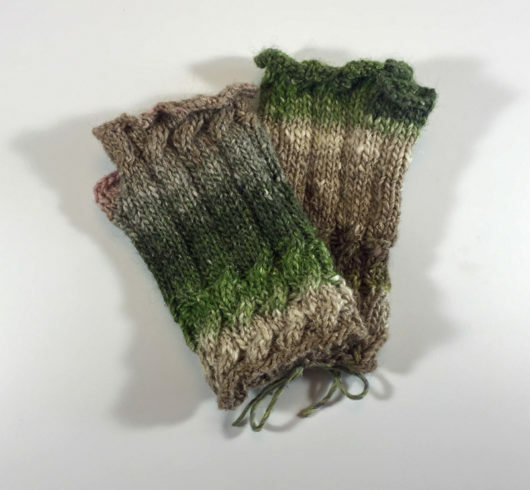 Recently I had a major knitting stutter. 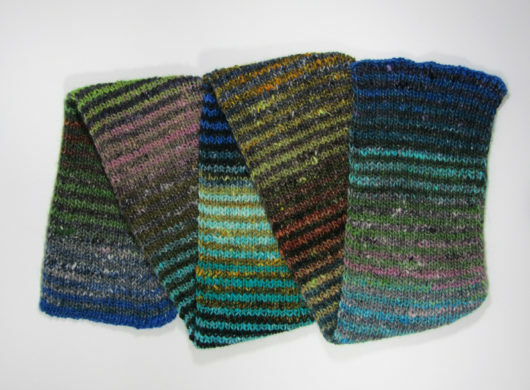 I knitted a series of four Fetchings, Cheryl Niamath’s wonderful free pattern. 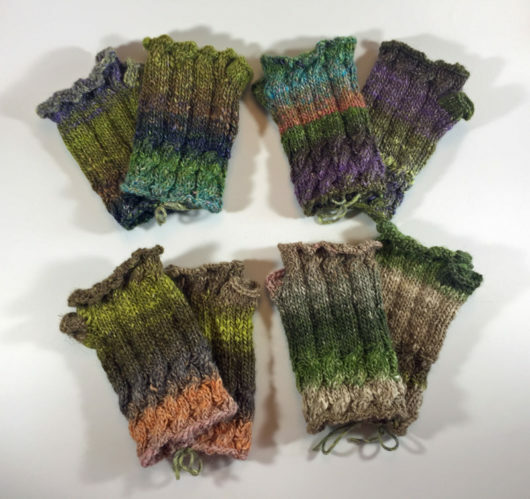 I used four skeins of Noro Silk Garden in two colorways. 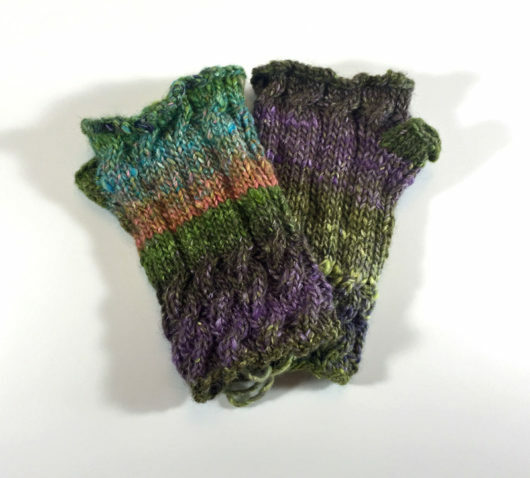 I got started during a long drive, continued during a week-long visit to Ann Arbor, and finished the fourth pair once I returned home. 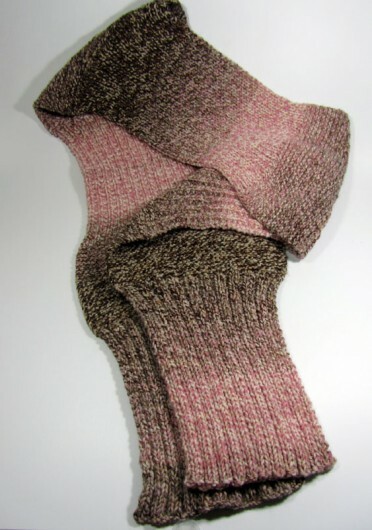 It’s such a satisfying knit. 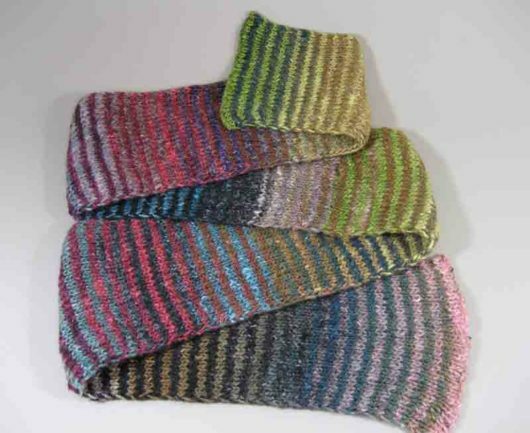 I’d knit the pattern six times before and managed to keep only one of the six for myself. 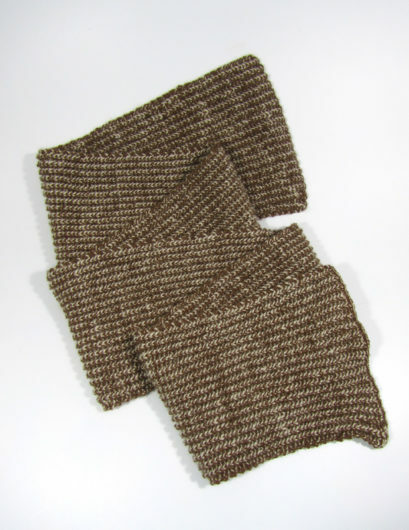 Fetching is a handy mitt to tuck in a coat pocket for those times when there’s just a bit of a chill in the air. 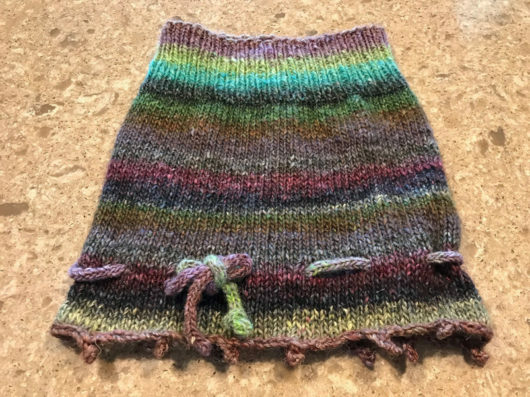 In previous Fetchings I’d used solids–mostly Stonehedge Fiber’s Shepherd’s Wool. They worked up great in that yarn. Check out my first half-dozen. 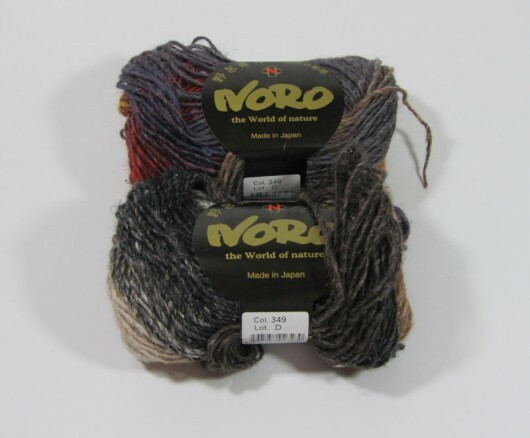 But this time it was those great Noro color changes that kept me trying just one more, just one more. 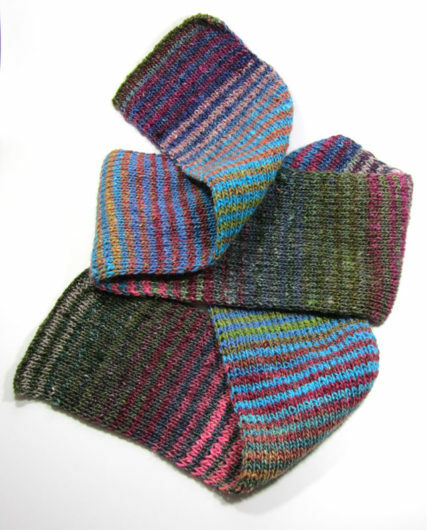 Four of the mitts are one colorway and four are another. But it’s difficult to tell which sprung from the same colorway. 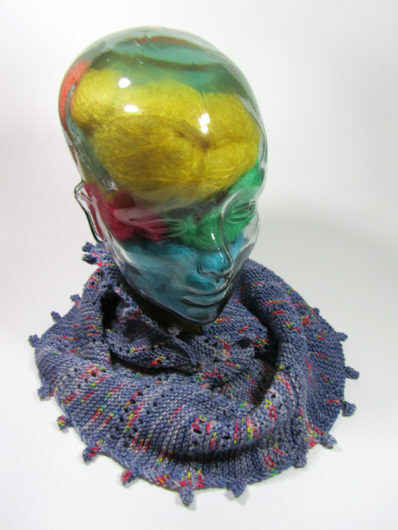 The current count of posted Fetching projects on Ravelry is 21,138! 6065 Ravelers have Fetching in their queues awaiting the day when they’ll cast on. 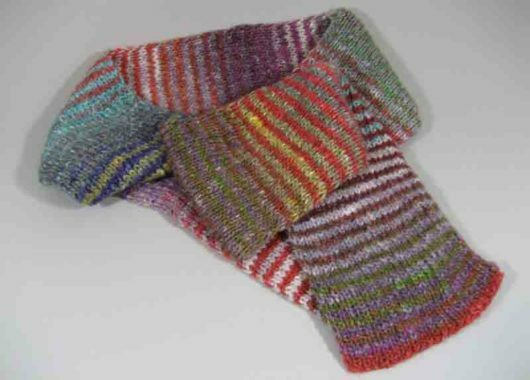 If you’re one of those 6000, seriously consider knitting Fetching soon. It will not disappoint. And if it’s not in your queue, just skip the queue and cast on straightaway. There’s already a chill in the morning air here in Michigan. And we’ve gotten into the mid-forties at night. 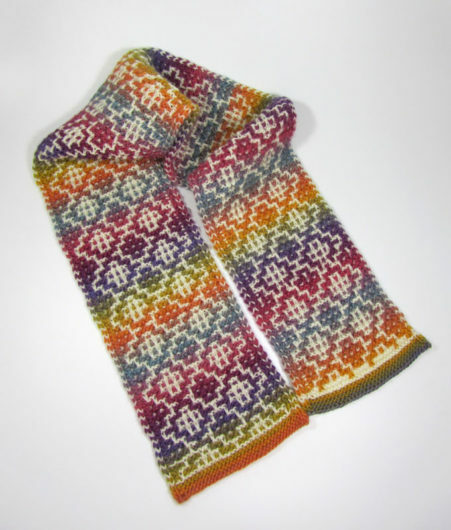 Pretty soon you’ll welcome slipping your chilly fingers into a pair of these mitts. Isn’t this just the cat’s meow? 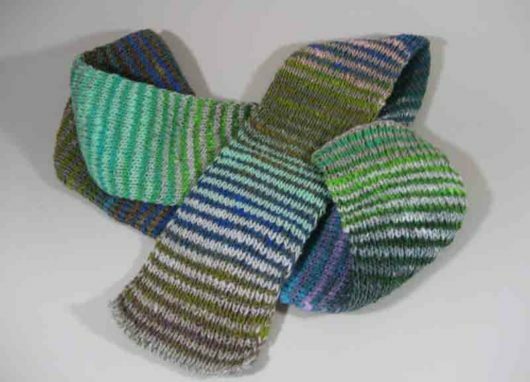 It’s a free pattern, Mosaic Tile Scarf, by Gail Tanquary. 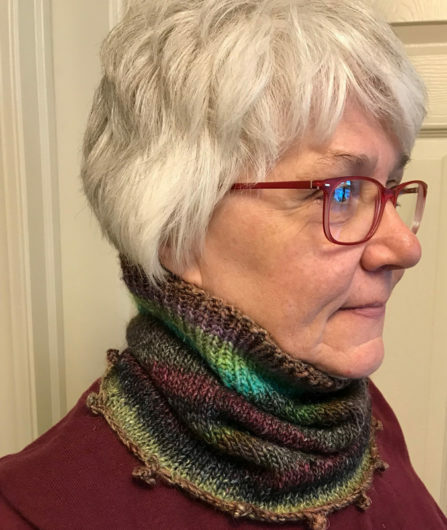 I bought the kit a few weeks ago at one of Michigan’s very cool northern yarn shops, The Dutch Oven Bakery and Yarn Shop. 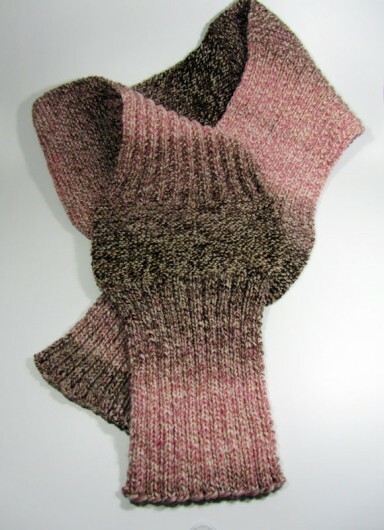 Being a kit, I ended up using exactly the yarn called for in the pattern. I don’t do that all that often. So, the off-white is Crystal Palace Allegro DK. 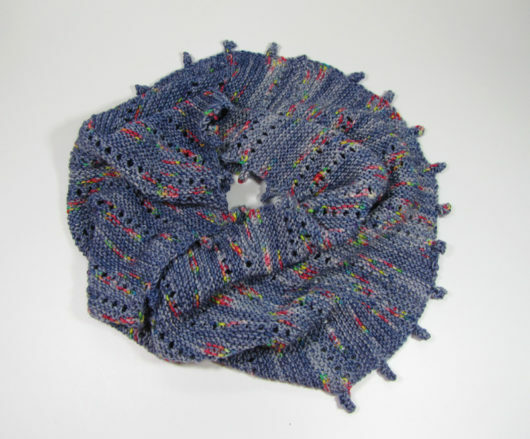 And the star of the scarf is Crystal Palace Mochi Plus, an Aran weight that’s 80% merino, 20% nylon. 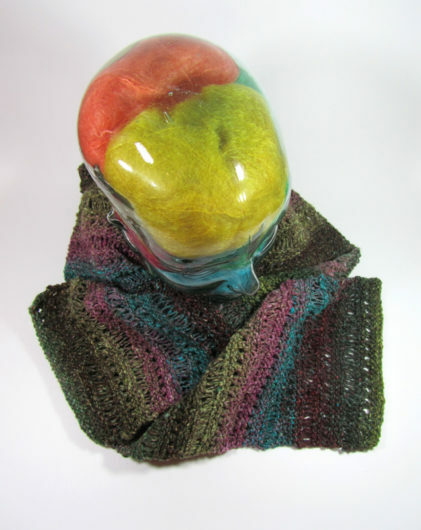 Using two weights of yarn really makes the self-striping Mochi Plus patterning pop. 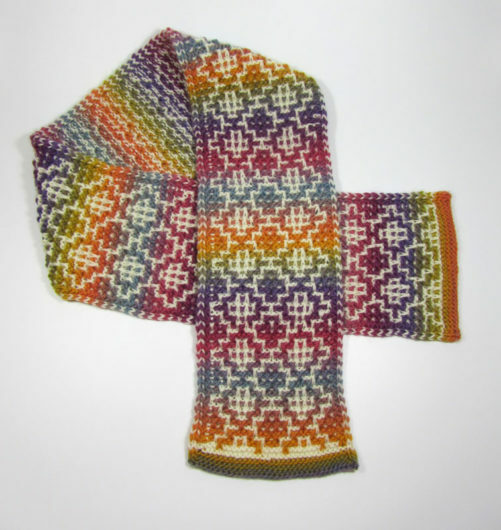 This is a slipped stitch pattern, so every pair of rows is worked with just one of the colors. 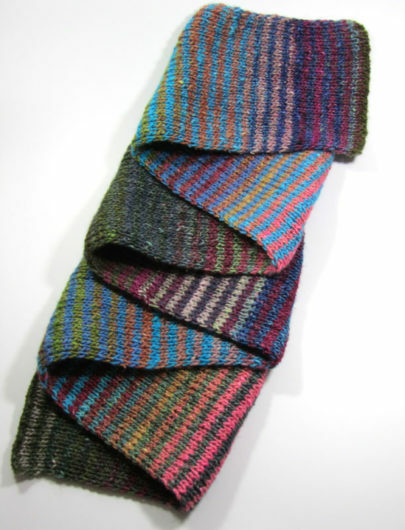 The color changes are hidden in that nice I-cord edging. 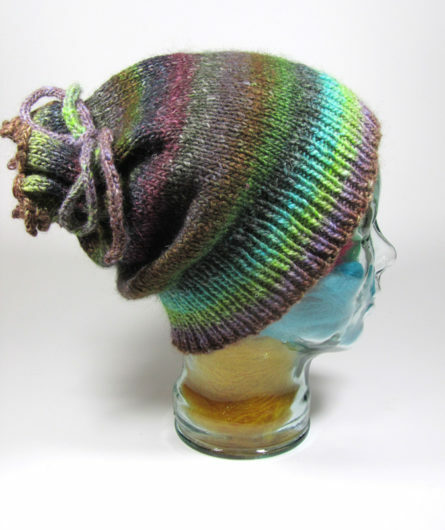 And even when it flips over and knitwits wear it upside down, it won’t look too horrid. 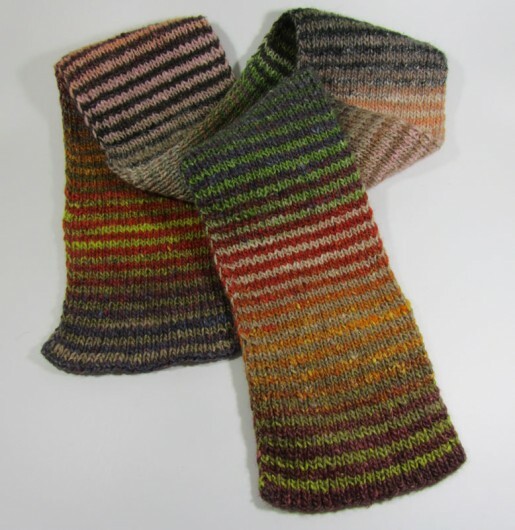 Here’s yet another Noro Striped Scarf. 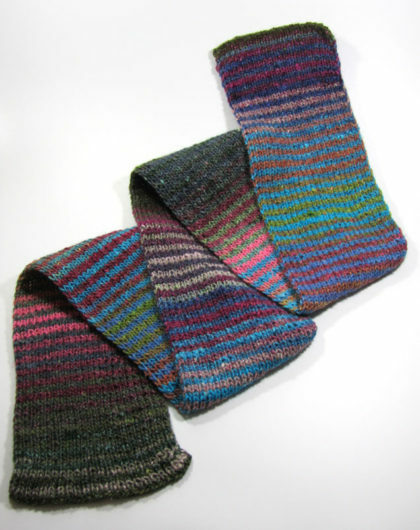 Jared Flood doesn’t take the credit for this, but since I believe he’s who wrote a pattern alternating between stripes from different skeins of Noro Silk Garden, I’m completely willing to give him full credit. 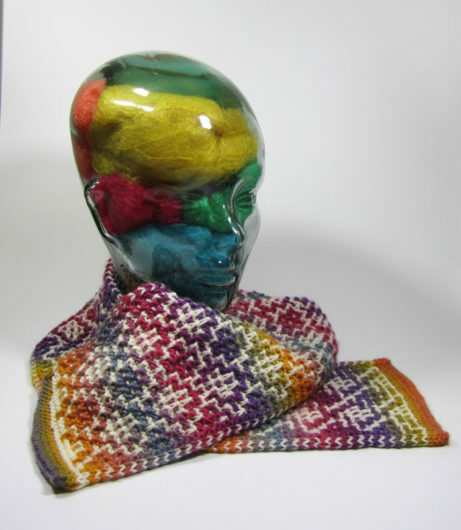 Nearly 15,000 Ravelers have knitted this scarf and posted it on their project page. 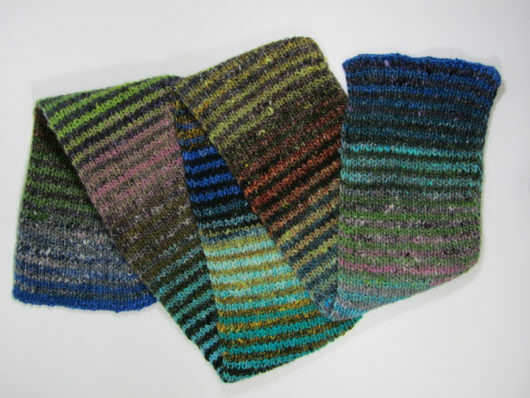 This time my two colorways were 382 and 337. 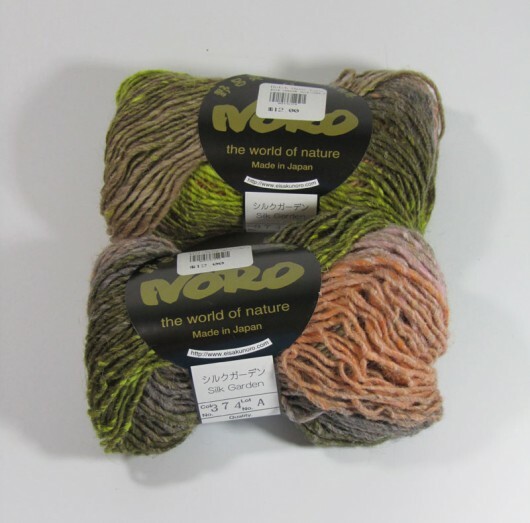 A mostly pink red and a mostly blue green skein. 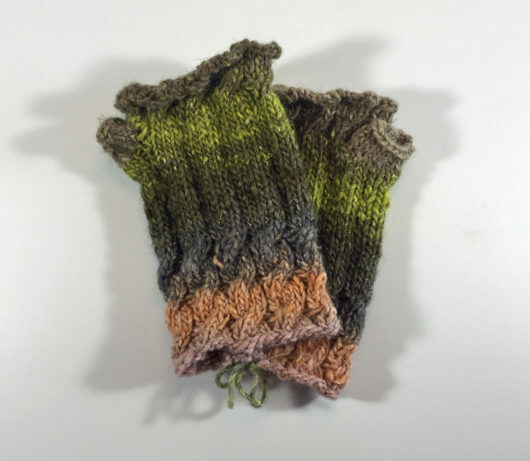 Two skeins of each colorway. 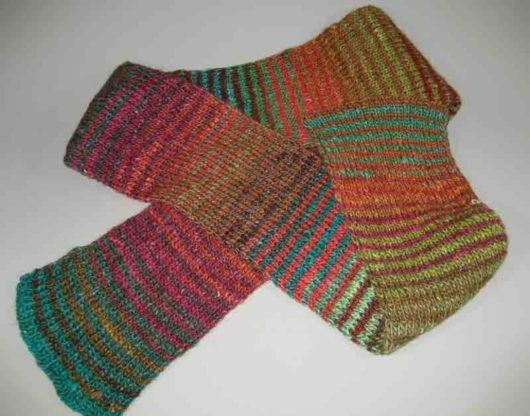 I made mine a bit wider than the pattern called for by casting on 45 stitches. 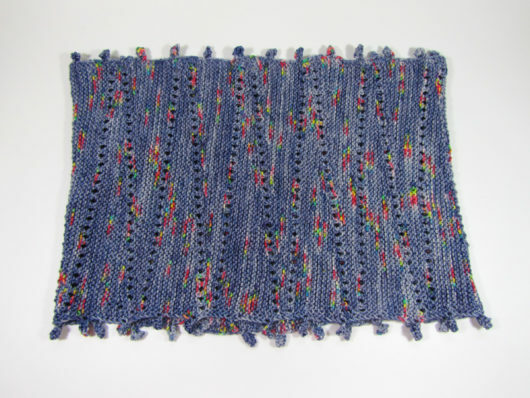 I slipped the first and last stitch of the second set of each rows, purlwise, to give it a nice finished edge. 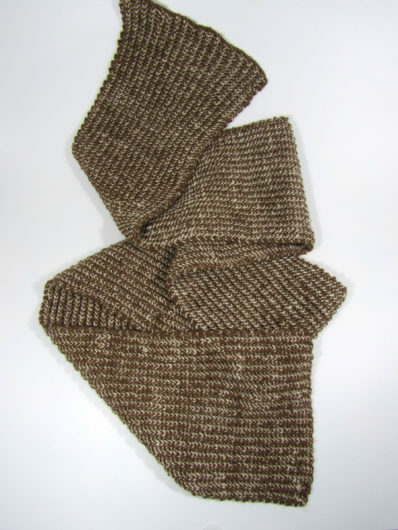 Any way you fold it, this scarf looks great. 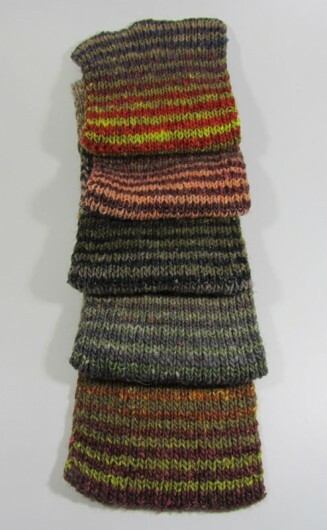 Four skeins, at this width, ended up at 69 inches. 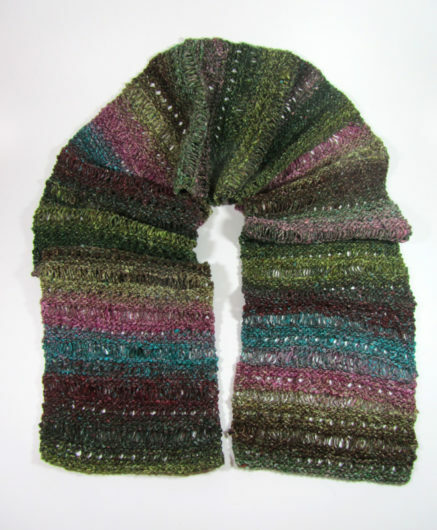 So, plenty for multiple wraps around a neck. Here’s others that I’ve made. And another. The measure of a good pattern? I don’t have any of these anymore. 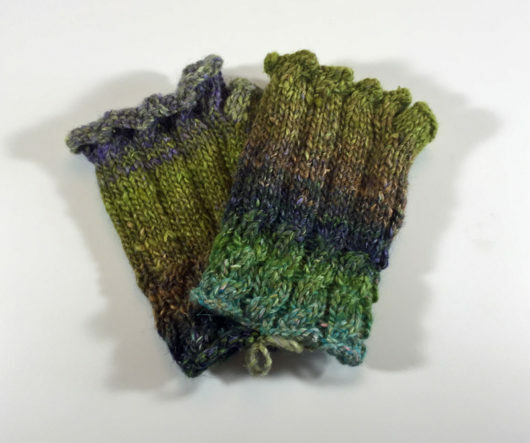 I knit them. Friends and family choose them for their holiday presents.